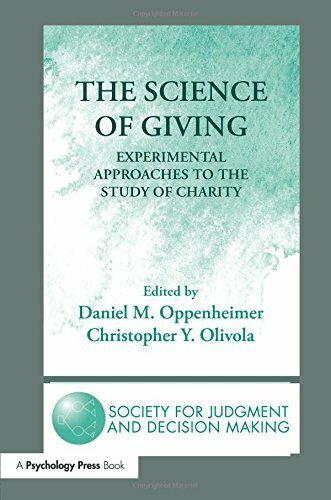 The editors Oppenheimer and Olivola identify a range of factors that underpin giving, based on experimental methods. It helps fundraisers examine the effectiveness of common fundraising strategies and includes recommendations on how to make capital campaigns more effective. It also suggest new factors that influence giving. For example, many people choose to give more to a charity after undergoing an exhausting or painful effort. 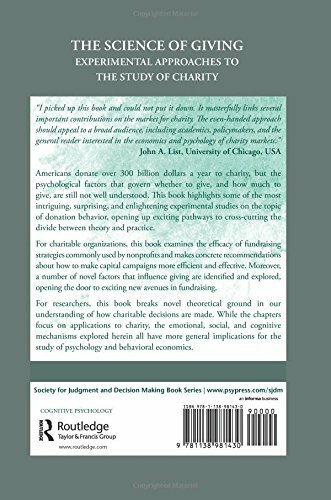 While there is a practical element to the book the editors also examine the emotional, social and cognitive mechanisms involved in giving to charity. Published in The Society for Judgment and Decision Making Series. The book was referenced in an episode of the Giving Thought podcast series by Rhodri Davies and Adam Pickering.